The highly-anticipated movie for the month of March 2015, especially for the gamers is now here! 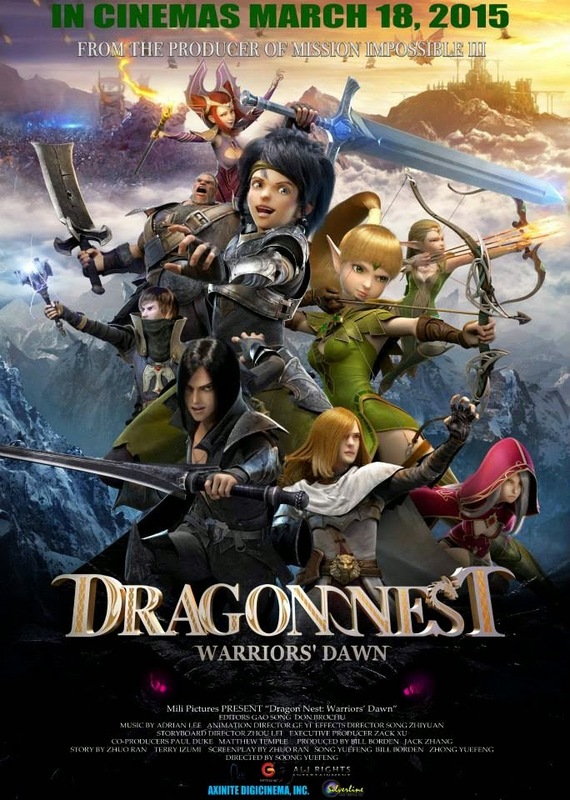 Dragon Nest: Warrior's Dawn is a Chinese-American animated film and is the first part of the trilogy based on one of the famous and top-grossing MMORPG, Dragon Nest. 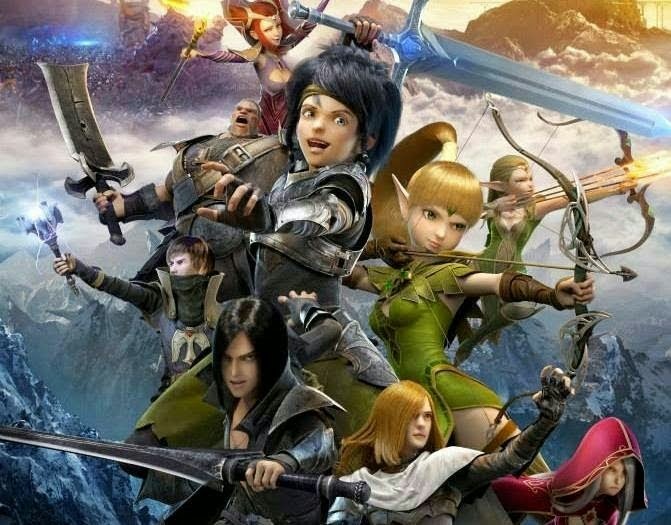 Dragon Nest: Warrior's Dawn - from the producer of Mission Impossible III - will be showing in Philippine Cinemas on March 18, 2015 and will be available in 2D, 3D and 4D. 50 years ago, Black Dragon appeared in the once peaceful land of Lagendia. Under the order of the King, the young Geraint, Argenta, Velskud and other legendary heroes assembled various forces to form the Dragon Slaying Alliance. This incident was widely referred as the First Dragon Invasion by the generations to come. Lambert, a young warrior together with his friend Liya, an archer, joins the Dragon Slayers league to save Altera from the Black Dragon. However, what exactly happened during this incident? Where are these heroes after the dragon invasion? The movie will reveal the story and mysteries behind this historical event. Dragon Nest: Warrior's Dawn is the first MMORPG on the big screen. Experience the very detailed animation, the character skills and effects, the wackiness of the characters especially the main character Lambert, and an action-packed adventure by the heroes of Lagendia. It will be available in English-dubbed. Have a glimpse of what will awaits you on the movie Dragon Nest: Warrior's Dawn!